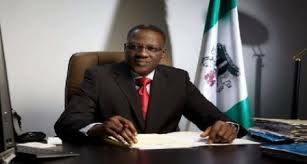 Kwara TUC commend governor Ahmed on SME tax holiday , calls for implementation – Royal Times of Nigeria. The Kwara sate chairman of Trade Union Congress, Comrade Kolawole Olumo has called on the Chairman of the Kwara state Internal Revenue Service to as a matter of urgency implement the tax holiday given to new small and medium scale enterprises in the state. The TUC chairman, who made call while speaking with our correspondent, Olarotimi Oshin, commended the state governor on the new development and said the tax holiday is capable of encouraging small business owners, create jobs and eradicate poverty in the state. It would be recalled that the State Governor, Dr Abdulfatah Ahmed few days ago directed the state’s revenue service to put in motion a five year tax relief regime for small business owners. According to the governor, the five years tax relief regime is imperative in order to allow for economic growth and development of the state.